It might be surprising for some, but AT&T was actually among the first carriers to provide Galaxy S6 owners with the new September security patch, earlier this month. 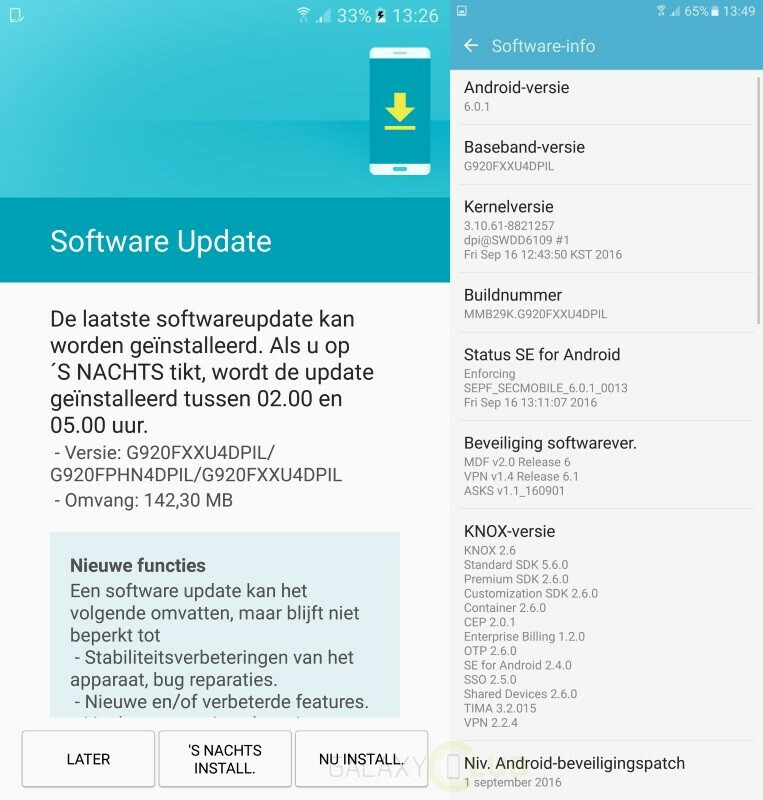 Well, it appears that the European version of the smartphone is now getting the update as well. Aside from the Galaxy S6, Samsung is pushing the September security patch to Galaxy S6 edge units as well, so if you own either of the two devices, we suggest you try your luck and check for a new software update. If you're not yet aware what the new Security Maintenance Release (SMR) is bringing into the mix, Samsung announced a few weeks ago that there are 66 patches coming directly from Google. On top of that, Samsung has found and patched 9 vulnerabilities of its own. One of the security issues has already been explained by Samsung and it's related to the SystemUI. The vulnerability, which was reported back in June, exists due to a null pointer dereference on fimg2d driver. The September security patch should fix this issues, along with the other 8 that Samsung has found in its products. Samsung announced that it will start pushing the September security patch in the first week of September, but, as always, it didn't provided customers with a schedule for the rollout of the update. The good news is if your phone is a little behind when it comes to security updates, the South Korean company confirmed that you will be getting all up-to-date security patches when a new OS upgrade is available for your phone. The European patch is about 140MB in size and is pushed OTA (over the air) in stages. You can check for the update by heading to Settings / About device / Software update / Update now. I received this update about a week ago. Wait a sec. I didn't receive August's security update yet!!! Hmm t looks like they are sending every second or third month.